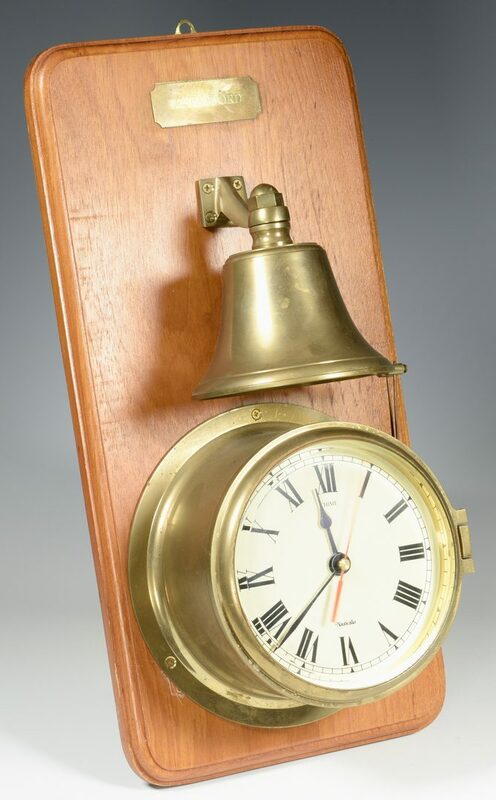 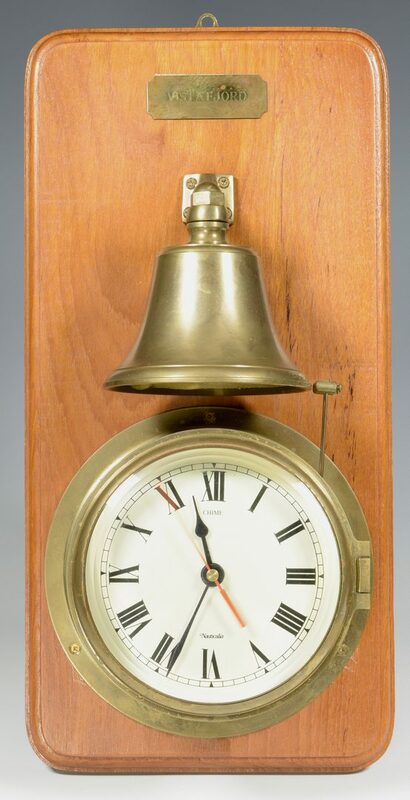 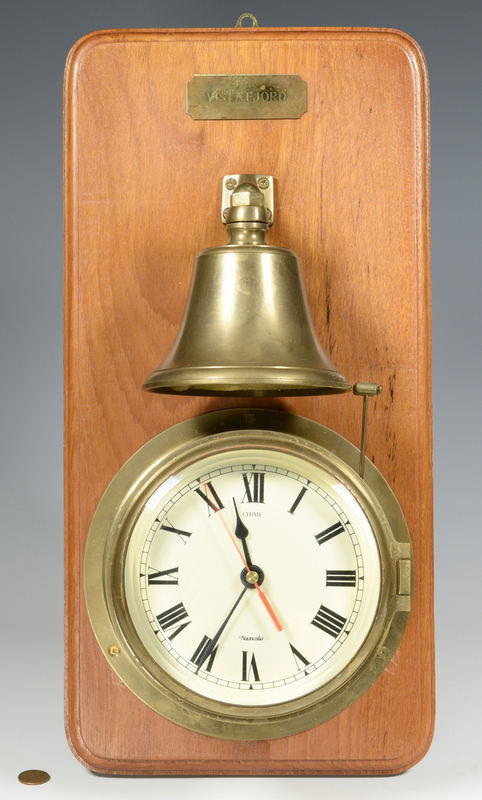 Nauticala Ship's Bell Clock, brass with enameled dial, mounted on a walnut board below a brass bell and a brass tag engraved VISTAFJORD. 17 1/2" H X 8 1/2" W X 4 3/4" D. Mid 20th century. 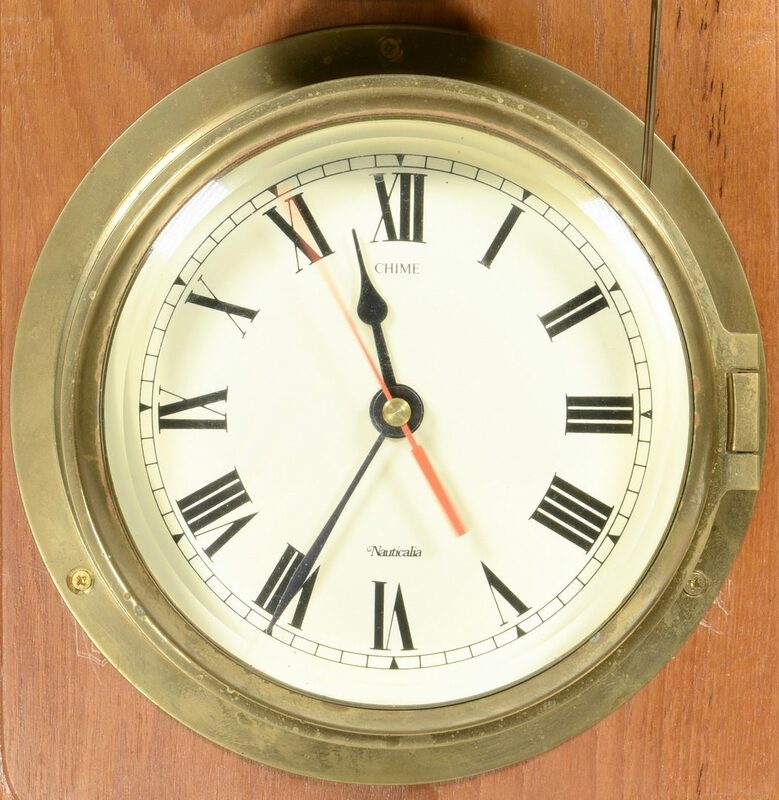 Provenance: the estate of Sarah Hunter Hicks Green, Nashville, Tennessee. 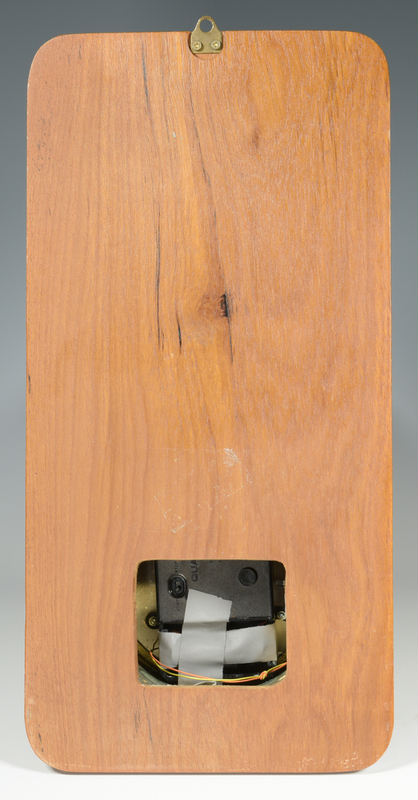 CONDITION: Few abrasions to back board, overall very good condition, running at time of inspection.